The anti-nausea medication Zofran, marketed off-label to pregnant women to prevent morning sickness, has been found in recent studies to be associated with an increased risk of birth defects. A study by Dr. Gideon Koren of the The Motherisk Program of Toronto, Canada found that women prescribed ondansetron (the generic name for Zofran) suffered a two-fold increased risk of cardiac malformations, leading to a 30% increased risk of major cardiac (heart) defects. The study, published in the December 2014 issue of American Journal of Obstetrics and Gynecology, was a retrospective analysis of 900,000 Danish women. Thornton Law Firm, a leader in birth litigation for three decades, is pursuing claims on behalf of families whose children were born with severe cardiac birth defects. 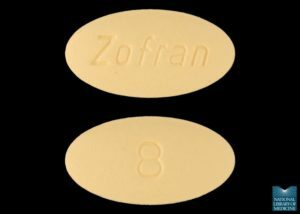 Zofran is approved for the treatment of nausea and vomiting in patients undergoing chemotherapy and radiation, and to alleviate nausea in patients following surgery. It is not approved to treat nausea and vomiting in pregnant women. In fact, Zofran’s manufacturer, GlaxoSmithKline (GSK), paid a $3 billion dollar fine in 2012 to settle charges by the U.S. Justice Department that it had illegally promoted Zofran to prevent nausea in pregnant women. Since 1991 GSK has paid $7.56 billion in civil and criminal penalties involving illegal marketing, fraud, failure to report safety data, and other illegal practices, according to the watchdog group Public Citizen. Two lawsuits have recently been filed on behalf of children born with serious cardiac birth defects after their mothers took Zofran to treat morning sickness. The lawsuits allege that “GSK conducted animal studies which revealed evidence of toxicity, intrauterine deaths and malformations in offspring, and further showed that Zofran’s active ingredient transferred through the placental barrier of pregnant mammals to fetuses.” They further allege that GSK has received more than 200 reports of birth defects associated with Zofran, yet never disclosed those reports to pregnant women or to their physicians. If you took Zofran while pregnant and your child was born with a birth defect, you may have a legal claim against GlaxoSmithKline. Thornton Law Firm’s birth defect lawyers specialize in helping families whose children have suffered birth defects recover the compensation they deserve. If you believe your ingestion of Zofran while pregnant caused your child’s birth defect, please call our Zofran birth defect attorneys at 888-341-1405 or tell us your story via our website here. All consultations are free and completely confidential.